Sharing KINGDOM LIFE with the World. Start your own grace place group! SATURDAY NIGHT PRAISE in se OK! start your own gpi ministry! INTERACTION BIBLE STUDIES! FREE DOWNLOADS! FREE DOWNLOADS! 2 NEW BOOKS! PERSONAL STUDY OR TEACHING OUTLINES! New! "13 STEPS TO DETOX YOUR LIFE!" SPEND PERSONAL TIME IN WORSHIP! WITH GARY & VALLETA LANIER! SEND US YOUR PRAYER REQUEST! NEW! :: WHAT DOES WORSHIP MEAN TO ME? Jeff Reynolds was an average guy. He was a husband, father, and a hard-working professional. One bad decision caused his life to go straight into the dumpster. He found himself responsible for a drunk-driving accident that claimed the life of an innocent victim. Would Jeff lose his freedom, his family, his career, and perhaps even his sanity? Chad and Debbie Stillwell's family was on the receiving end of the car accident. In an instant, their life changed from a dream to a disaster. Would their marriage hold up under the crushing weight of grief? Would bitterness and unending sorrow destroy them? Could something as simple as God-inspired friendships bring the answers and healing that these devastated people need? 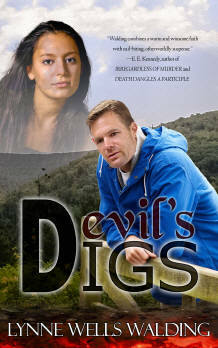 "DEVIL'S DIGS" is available. Originally conceived to be a sequel to "Handful of Demons", it quickly claimed a life of its own, and can be thoroughly enjoyed as a stand-alone, or a sequel. Check it out on Amazon! "Life takes a dramatic turn for Casey and Edward McAlester when they uncover a mystery that will forever bind their family to the Gregory family . . . while at the same their son, Barrett, is thrust into instant fatherhood. They move to a peaceful community in the mountains of Eastern Oklahoma in search of a tranquil life and find just the opposite when they discover Winnoby is Satan's chosen home away from home. The Evil One's minions set out to stop the McAlester's influence on the few remaining faithful and, at all costs, stop Casey from writing the book God has called her to write. The heinous Satan-worshipping inhabitants of the community are eager to join in the battle against all that's good and Holy. Barrett falls in love with Jenna, a beautiful Native American girl whom the Prince of Darkness has already chosen for his bride when his reign over earth comes. When the McAlesters try to escape the deadly trap set by the townsfolk and take Jenna with them . . . the gates of Hell can't contain The Evil One's rage." "We are surrounded by invisible enemies who are out to destroy our lives, our marriages, and our happiness. Don't believe me? 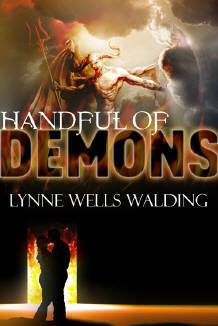 'Handful of Demons' may convince you otherwise. With this unique blend of the movies Ghostbusters and The Exorcist, Ms. Walding crafts a story that rivals C.S. Lewis's 'Screwtape Letters', a story that allows the reader a peek into a realm beyond our five senses but a realm that is no less real. This book deals with so many topics and in such a real way - love, betrayal, marriage, spiritual warfare, sacrifice, pride, fear, and more - that I had a hard time putting it down each night! 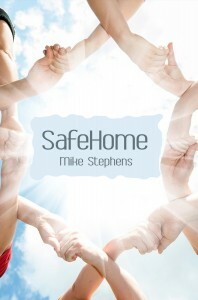 A refreshing and poignant look at a subject rarely addressed in Christian fiction." 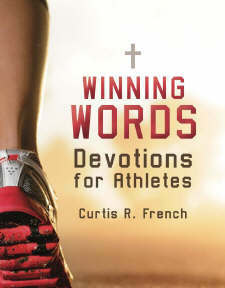 Through long years of experience in ministry and sports, Curtis French is uniquely qualified to offer these devotional studies for fans and players. From college days as a winning pitcher, French has served as Chapel speaker for the Dallas Cowboys, Texas Rangers, Detroit Tigers, Kansas City Royals, Milwaukee Brewers and Cleveland Indians, as well as numerous college and high school teams. Academically, French holds Bachelors and Masters degrees from Oklahoma University and Texas A&M. 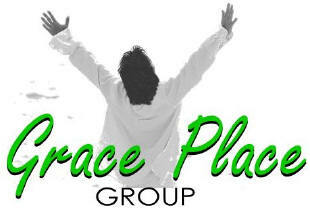 Grace Place International is designed to be a companion ministry for Believers all over the world. Not only can you enjoy the benefits of the GPI ministry resources, but you may want to start a GPI GROUP! WHAT IS A GPI GROUP? just like the early church in the book of Acts! Acts 2:47b And the Lord added to the church daily those who were being saved. Acts 2:45 and sold their possessions and goods, and divided them among all, as anyone had need. ARE THERE DIFFERENT KINDS OF GPI GROUPS? YES! Not every group is the same! This group is you, the Father, the Son, and the Holy Spirit! This group is be made up of your family and/or friends. It meets once a week in homes, usually on a regular schedule. If you are a member of a local church, you can still lead or be part of the GPI HOME GROUP. Some may be ready to start a home church, and this group would work great for that concept. This group is made up of family and/or friends. It meets at various times, depending on the schedule of those that are part of the GPI ON-THE-GO GROUP. It can meet in homes, businesses, schools, restaurants, parks, or anywhere it is convenient for those involved. This group is more flexible with times and locations. HOW TO START A GRACE PLACE GROUP! Establishing a Grace Place Group is easy. Talk to yourself about a G4 Group, or your family and/or friends about what kind of group to begin. Then decide when and where you are going to meet. Look at the GPI Group Resources to see what resources would work best for your group, then download whatever you need. It's that easy! INTERACTION BIBLE STUDIES WITH SIMPLE GROUP GUIDELINES! BOOKS & PAMPHLETS FOR ADDITIONAL STUDY! BECOME A FAN FOR DAILY ENCOURAGEMENT! THE GPI STAFF IS AVAILABLE FOR YOU! HOW TO AFFILIATE A GRACE PLACE GROUP! No affiliation with Grace Place International is required, unless you want to. To affiliate a GPI Group is easy! Simply notify GPI that you are hosting a GPI Group and we will be proud to post your location on the web! START A GRACE PLACE GROUP! and help share KINGDOM LIFE with the world. Bible Study Helps, Worship Videos, Teaching Videos, and Kingdom Life Music. is to give these to the world, FREE OF CHARGE. thus fulfilling the plan of God designed for Grace Place International. Thank you for Partnering with GPI. All gifts, regardless of size, are greatly appreciated. 17 Not that I seek the gift itself, but I seek for the profit which increases to your account. 19 And my God shall supply all your needs according to His riches in glory in Christ Jesus.